There is something magical about the 10K distance. 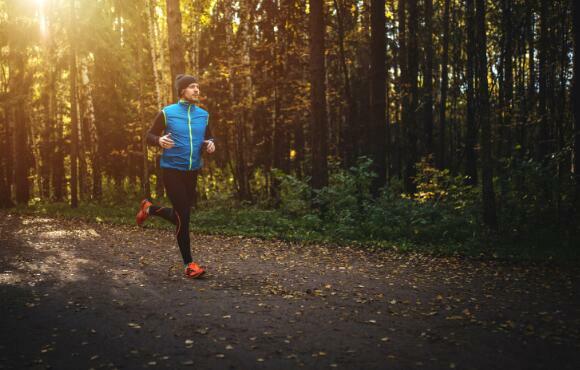 On one hand, running 6.2 miles demands your respect and attention, but on the other, it isn't so far that you can't train for it and run several 10Ks in one season. It's one step beyond the 5K and a great segue to the half or full marathon distance. Now that you've built your mileage and successfully tackled a 5K, training for a 10K is well within your reach. 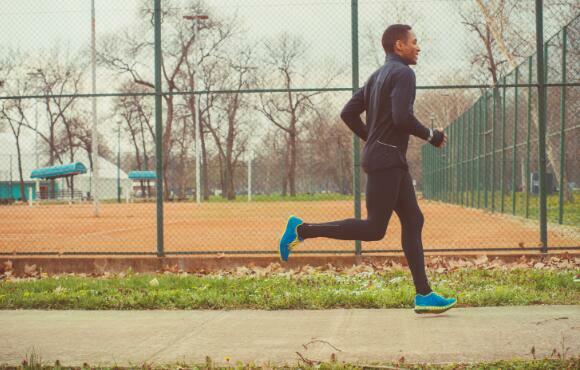 Here are 10 tips for training and racing for a 10K in 10 weeks. Let's face, it life is busy and training can easily go by the wayside. The difference between running for fitness and training for a 10K is that every workout has a purpose. That is also what makes "training" so motivational. Follow a training plan that fits your lifestyle and give yourself at least 10 weeks to prepare. You can train for it in less time, however, it helps to have a little extra time in case of illness, vacation or life's chaos. A solid 10K race is not made from a handful of good runs, but rather the sum of good, bad and sometimes ugly workouts. As you make your way through the training program, remember not every run will be your strongest. Even the world's fastest elite runners have tough running days. If you're having a rough day, slow the pace, and get through it. It's all part of the training process and breaking through to your running best. 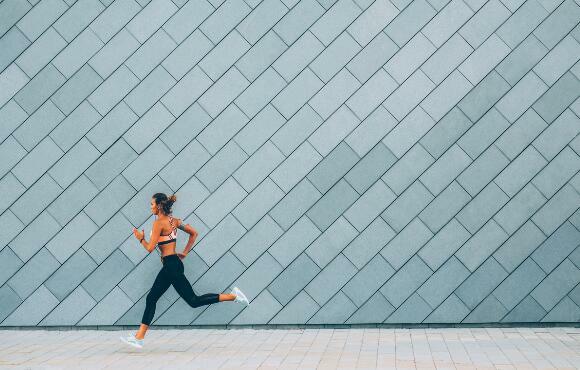 The great workouts will build confidence, the challenging "When-can-I-stop" runs will develop mental strength, and all of them combined will keep your momentum flowing. In order to run farther (in this case, your 10K distance), you've also got to run easy during most of your workouts. Think of your training as a chili recipe and the faster workouts as the spice of your program. As you work your way through the 10K training program, you will be pushing longer distance runs as well. The secret is in balancing the recipe to allow your body time to recover between runs and grow stronger. When the program calls for easy runs, focus on keeping a "happy pace" and one where you can easily talk and almost feels effortless. 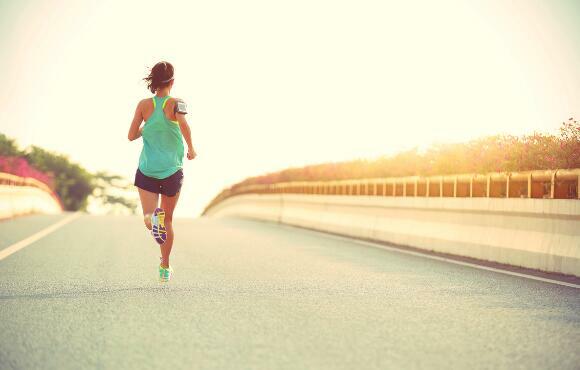 Running easy translates to a stronger, faster or longer distance run down the road. In order to run faster, you need to train at a faster pace. 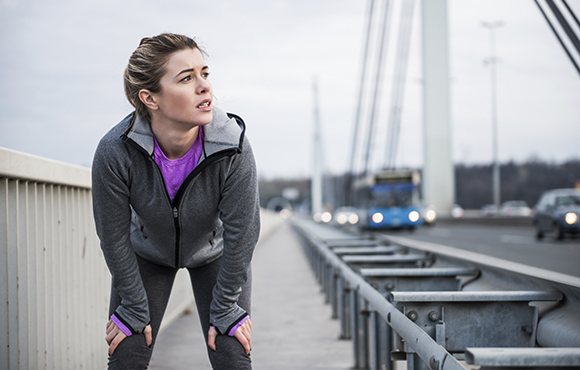 Dedicate one workout each week to running short one to two minutes intervals at a hard effort (hear your breathing and can't talk) followed by equal easy running for the same amount of time. Keep it simple and repeat the workout for three to four weeks (once per week) before you make it harder or add more intervals. For example, warm up by walking five minutes. Then run 10 minutes at your easy pace, run four two-minute intervals at a hard effort and follow each by two minutes at easy effort to recover. Cool down running 10 minutes easy and finish with a five-minute walk. Repeat this workout once per week for at least three weeks and then add one more interval. Part of taking the challenge to progress from a 5K to the 10K distance is learning how to run longer. A great way to build endurance is to invest one running workout each week (weekends work well) and slowly add a half-mile to your longest run. For example, if you run 4 miles now, start with four and a half miles and add a half mile (five miles, five and a half miles, six miles) as you progress through the 10-week program. Every four weeks, cut back to five miles to give yourself time to recover and adapt. Reduce the long-run mileage the week before the race to no more than five miles. The key to building endurance on the run is to train at a conversational effort level throughout the distance. You should be able to carry on a conversation and feel as if you could keep running a little longer when you've reached the end. Keep this workout slow and easy and your body will quickly recover to the demands of the new distance. Every endurance (or long) run is an opportunity to practice logistics for race day. You consider everything from what to eat for dinner before the race to breakfast, race attire, fuel and pacing. Dialing in all of these things will help you better prepare for the 10K, and avoid second guessing yourself if the race nerves kick in. Studies have shown runners who train in groups show up more consistently and go farther than when they run alone. 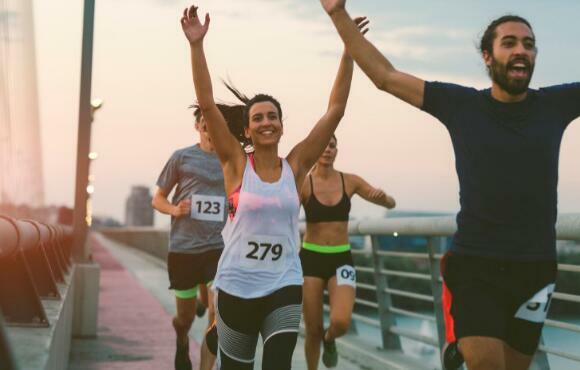 This may not be true for everyone, but running with a group of friends, at a weekly local running store run or with a buddy improves motivation and performance, and provides a solid source of accountability to keep you moving toward your goals. Training is mostly physical and somewhat mental. Race day is the exact opposite. Your mind runs the show. 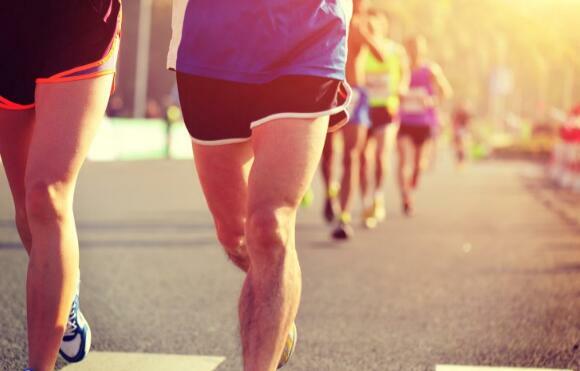 The number one mistake runners make on race day is to go out too fast, expend way too much energy in the first few miles, and crash and burn towards the end. This lends itself to a fantastic first 5K, and a terrible finish line photo. In the final five weeks of training, dedicate one run per week to running a negative split. That is, cut the distance in half, run the first half easy and gradually dial up the pace until you're at a comfortably hard effort for the final half-mile. Don't forget to practice your finish line smile. 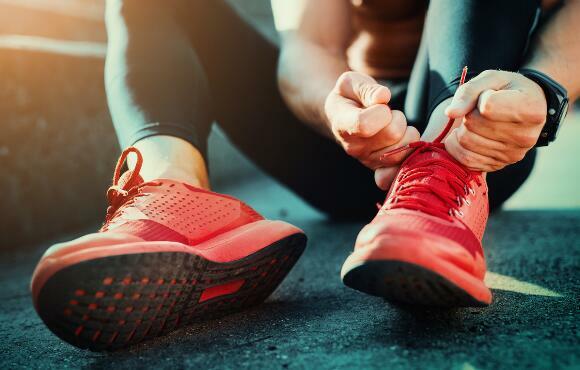 Whether you plan to run your first 10K for fun or for a specific time, it is wise to invest in a short warm-up before the race as it will help to gradually increase your breathing and circulation, and warm up the muscles. Start your day with a warm-to-hot shower to pre-warm your body. About 10 to 15 minutes before the race start, walk briskly for three minutes. Then run easy for five minutes and finish with four or more 10-second pick-ups at a faster pace. 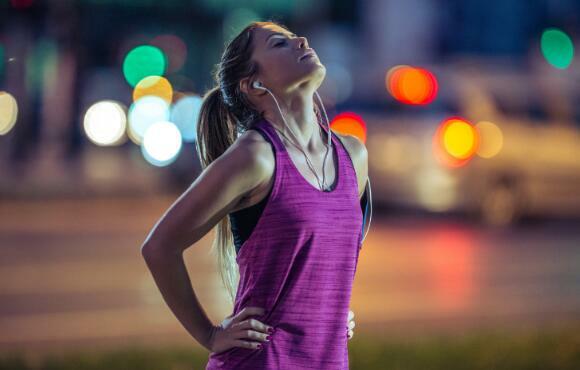 A warm-up will help you transition from stop to go more comfortably. Rest up for race day by cutting your total mileage and intensity down. Also remove your strength-specific workouts. The running workouts during race week are all about keeping your legs loose. They should be short (30 to 40 minutes) in duration and relatively easy in intensity. Review the race course and note the turns. The fastest way from start-to-finish is the most direct route. Mindfully run the course like an elite runner taking the tangent at every turn. A tangent is a straight line just outside the curve. Taking the long way around every corner can add a lot more distance to your total and they're not going to award you for the extra at the end with a 10.8K finisher's shirt. Finally, at every mile marker in the race, think through a head-to-toe inventory of your running form. Your head, neck and shoulders should be relaxed. Your arms, swinging like a pendulum from the shoulder with relaxed hands (avoid crossing your arms beyond the center line/naval). Your hips should be in alignment and under your shoulders and keep your feet striking with short, quick strides. Running your first 10K is a fantastically fun adventure. Keep these tips in mind as you progress to the start line and smile across the finish.